Do your nails up right for the holidays! 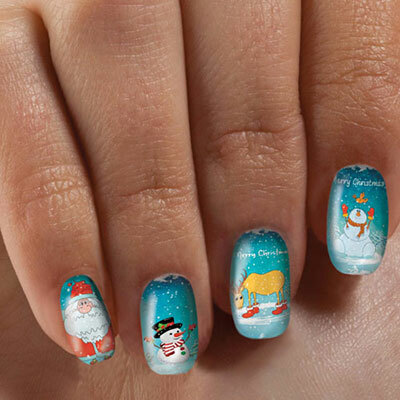 It's easy and fun with these whimsical 'Tis the Season Nail Appliqués that feature snowmen and Santa. Plastic gel wraps are incredibly easy to apply and will last approx. 10-14 days. Just peel off to remove. Set of 14 in assorted sizes.